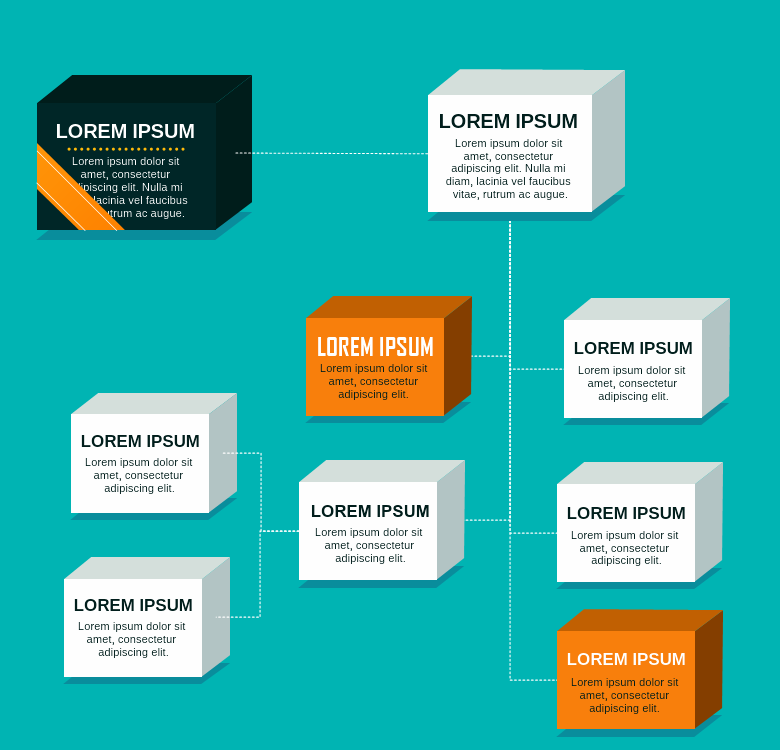 This is a modern style diagram template, created with 3D-alike boxes. The boxes are composed of several shapes, each of which can be edited separately. The boxes can also be copied and moved as a whole. To edit only the text in each box simple double click on it and start typing.